This week's Instagram style audit showcases everything from layering with jumpsuits to skinny white jeans and the many ways to pair them. In short, let this act as your mini, but marvelous, edit of the best instagram has to offer. Style bloggers aren't just out there to show you what to buy, it's all about providing inspiration in how to use what's lying around in our own wardrobes! 1. The button down shirt and pleated skirt combo is a winning combination no matter what the clash in pattern or colour. Embrace, work and strut it out! 2. Thinking it's too cold for that jumpsuit? Think again. It's all about layering, and this is done perfectly herewith. 3. 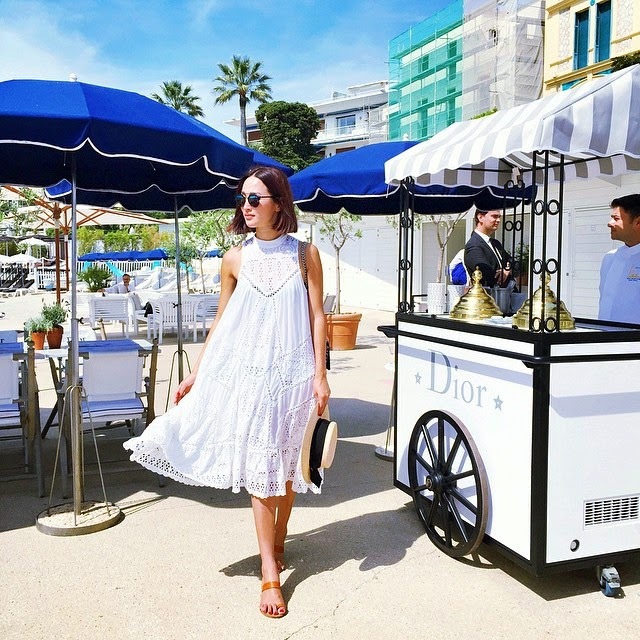 Every woman needs a white dress in their wardrobe this season. There's really nothing more to say! 4. 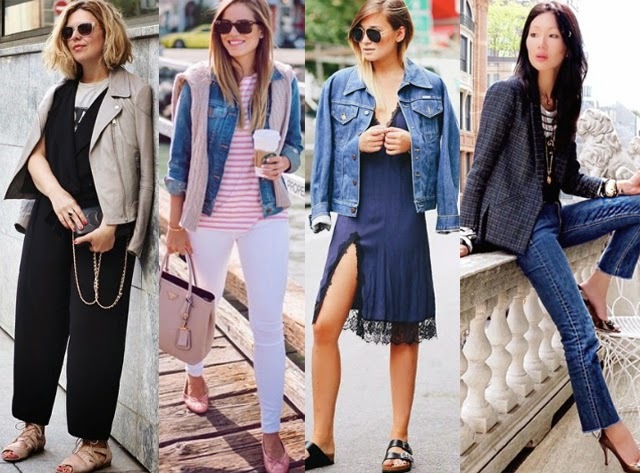 A denim jacket is your best friend during spring summer. Buy and keep at the ready for the chilly mornings still to come. 5. Yes, lace ups are hanging around for summer, so pair with a simple dress and let the shoes do the talking. 6. The preppy look is one that will never die. Oh, and the shoulder sling of a sweater is here to stay, from 1980s to present day, it's a classic way to work your layers whether you're Martha's Vineyard or Marbella. 7. 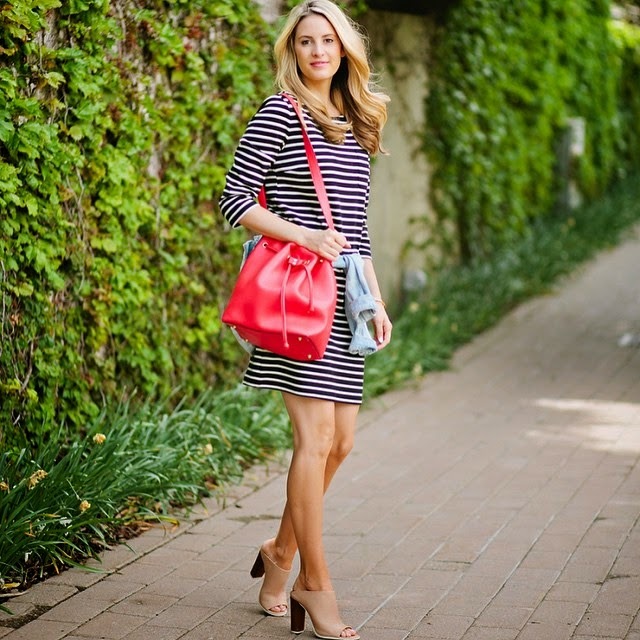 You can never go wrong with a simple striped dress. Pair with a colour pop in the form of a great bag or a pair of statement heels. 8. Completely uninspired by your closet this morning? Throw on a pair of skinnies, a classic trench and tie your hair back to channel your inner superior spy! 9. This outfit is as sleek as it gets - simple cropped jeans, striped shirt and a checked blazer. Complete the ensemble for a pair of good old fashioned statement heels and you're good to go. 10. Remember, ladies, gingham is back in a big way this season. Embrace it for any outfit accent from head to toe. Oh, and monogramming... don't get me started. Initial everything!